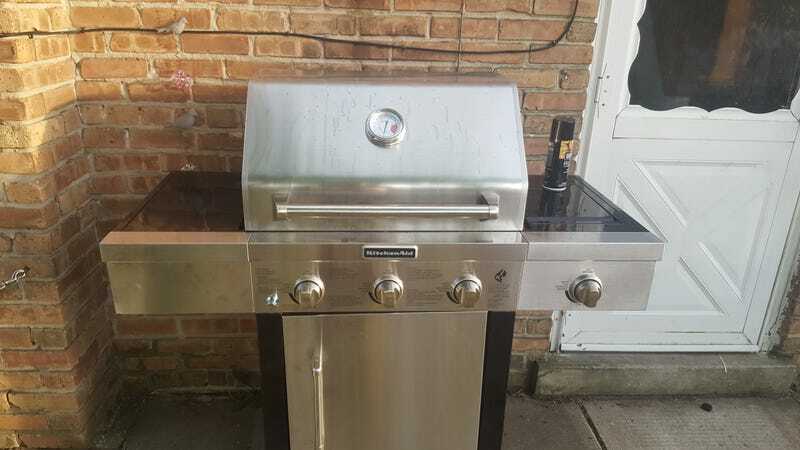 Wife surprised me with a shopping trip tto home depot for a new grill. Found this one marked down to 200 bucks from 500 because it was last year’s model and couldn’t pass up that deal. So now we are doing burgers and kabobs for dinner. It even came with the grill cover!